Thought Leaders, Business Gurus, Authors, Business Professors, Motivational Speakers, Policy Experts and Business Executives who speak about Asia. Expert Asia Speakers for conferences, lectures, seminars and corporate events. Conference Speakers and Keynote Speakers to Speak on Asia and related topics. 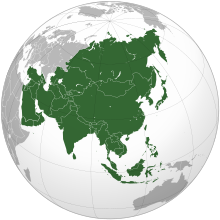 Lecture Agency and Speakers Bureau for Speakers and Thought Leaders on Asia. Book a Asia Speaker for Speaker and Lecture Series, Business Conferences, Seminars and Corporate Events. We are talent experts that represent companies seeking to hire speakers and celebrities for speaking engagements, appearances and endorsements. We do not claim or represent ourselves as the exclusive agent, manager, booking agency, publicist or manager of Asia or any talent on this site.